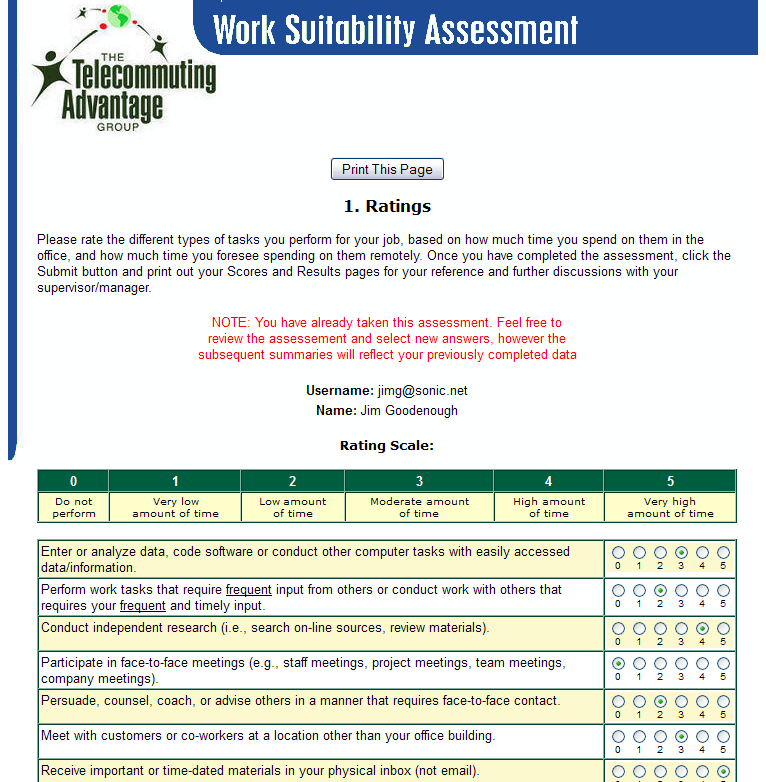 The Telecommuting Advantage Group's online and interactive assessment tools were developed by Industrial Organizational Ph.D.'s and validated through years of testing. The assessments can be customized for your industry, organizational culture and alternative commute program goals, maximizing the benefits of your program. Your employee's assessment results can be saved, instantly recalled and analyzed based on your customized employee data and assessment design. Youcan ensure that new and existing employees will provide their organization with productivity gains, employee satisfaction and other benefits of an effective alternative work program. Save time and money using a professionally designed and tested method for evaluating your employees for participation in an alternative work program, including telework, compressed workweeks, mobile, virtual work or a combination of multiple types. 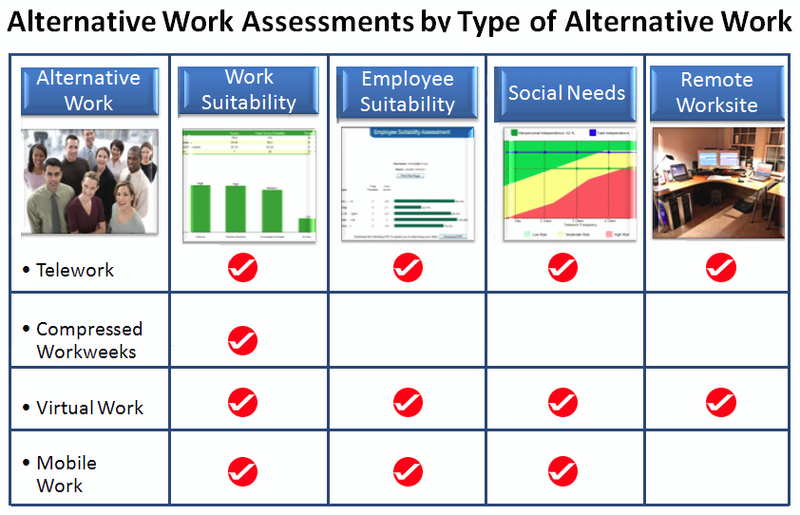 Work Suitability Assessment (WSA): Investigates an individual's job-tasks and collaboration needs regarding part-time or full-time telework program. 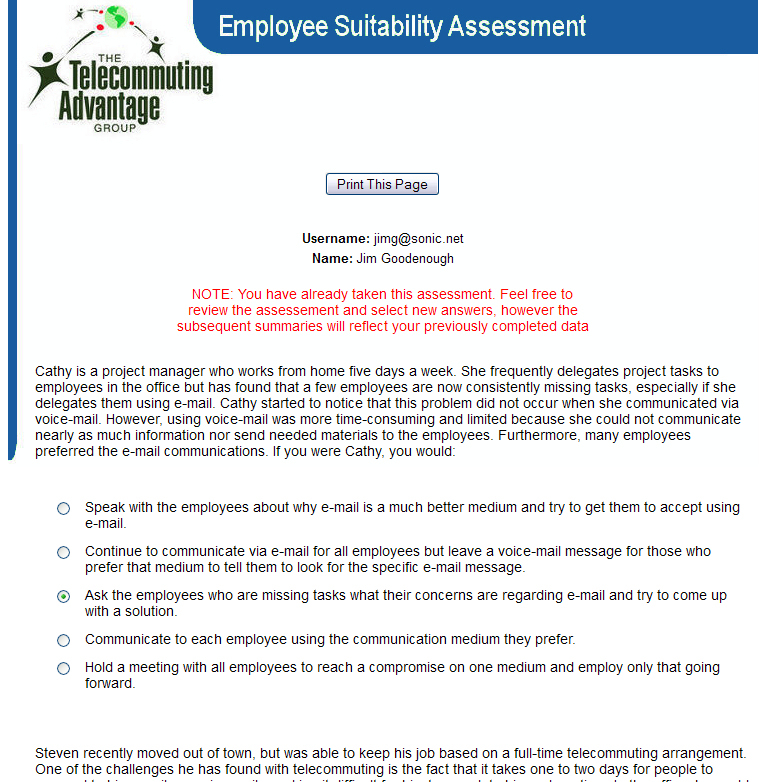 Employee Suitability Assessment (ESA): Evaluates an individual's personal telework competencies. 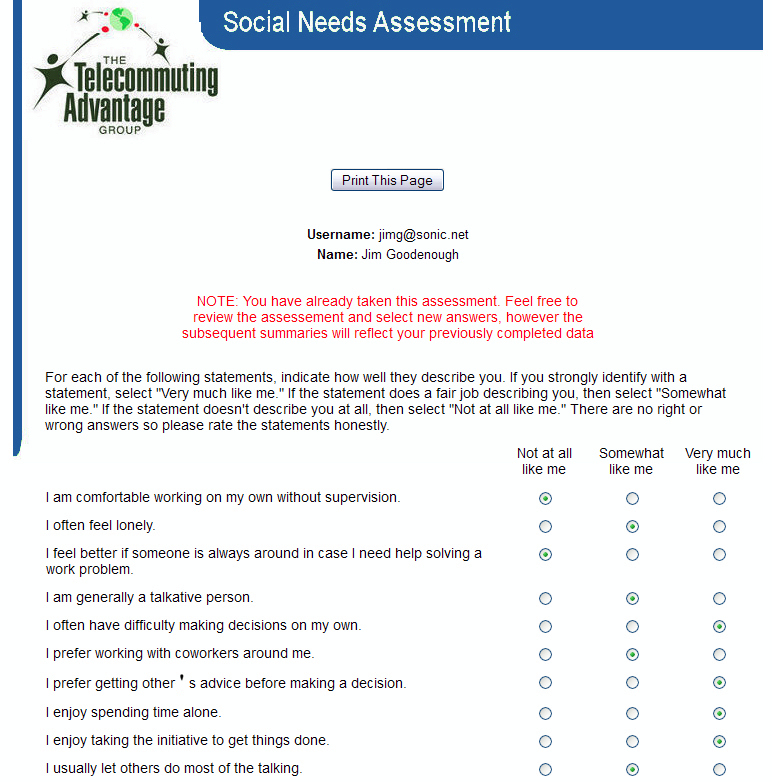 Social Needs Assessment (SNA): Review's personal and work related social tendencies. Remote Worksite Assessment (RWA): Evaluates the suitability of an individual's remote worksite for telework.